Tongoro Studio, the ethical designer brand from Senegal, self-describes as the “first affordable fashion label made in Africa." The marque offers global yet obtainable fashion with their simultaneous fashion forward and homespun designs - all inspired by and handcrafted in African locales. 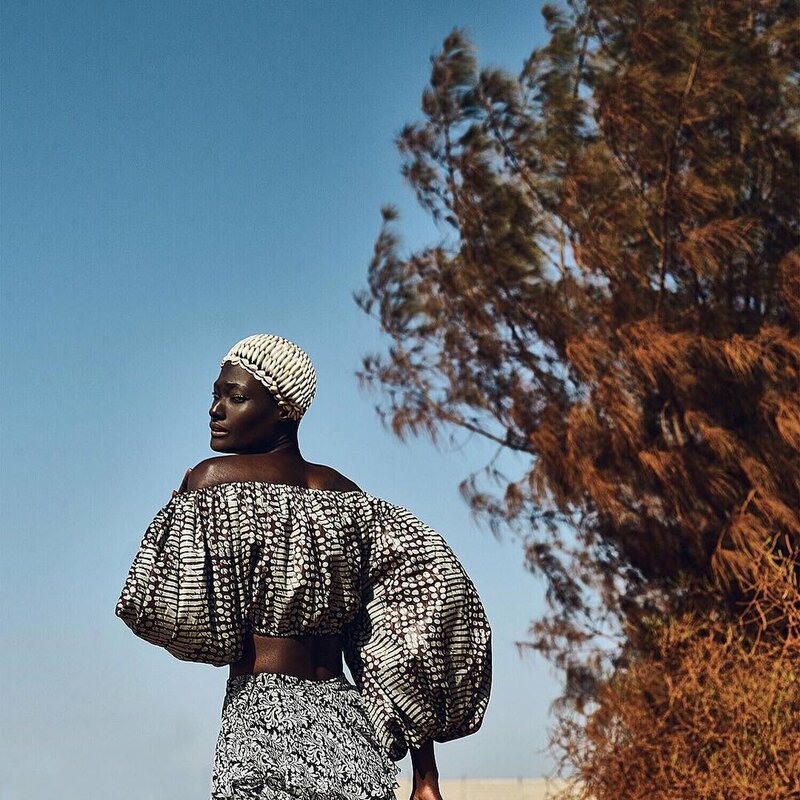 Creatively led by the photographer, editor in chief, chief of enterprise, stylist, and now artistic director Sarah Diouf, the Dakar-based brand debuts its Summer 2017 collection in the form of a visual narrative called La Teranga. The brand's recent story is a celebration of the rhythms and landscapes of Senegal. Per usual, Diouf draws on Senegal to create on trend pieces. Hinting at past collections while maintaining its sophisticated yet accessible aesthetics, the Summer 2017 assemblage sees layered pants, off the shoulder dresses and blouses, a splash of prints, sequins, frills high riding slits, skull caps crafted with cowries, played-up sleeves, the longer-than-life clutches. See also: their Made N Africa t-shirts. Known for its signatory cool girl aesthetic and easy designs, the brand's latest effort is sure to appeal to its loyals.